nee McCloskey. Wife of James Cagle. 14 Nov 1930 Husband of Elizabeth (McCloskey) Cagle. 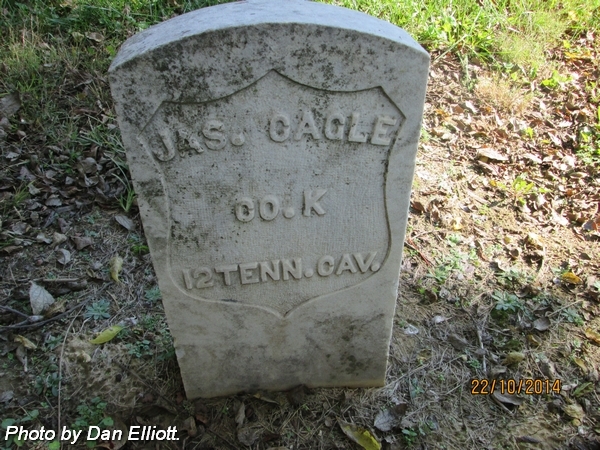 Pvt., Co. K, 12th Tennessee Cavalry. nee Willis. 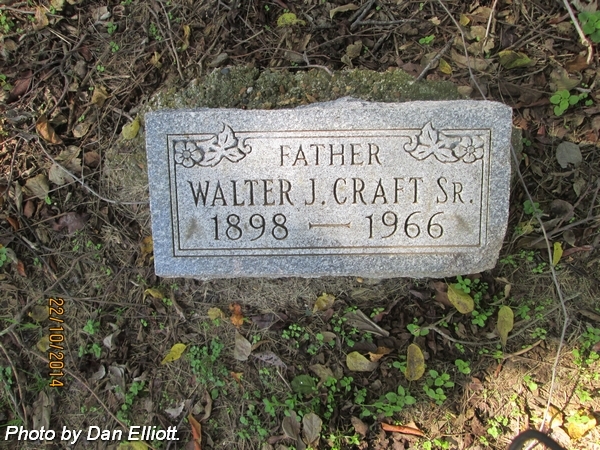 Wife of Walter James Craft, Sr. 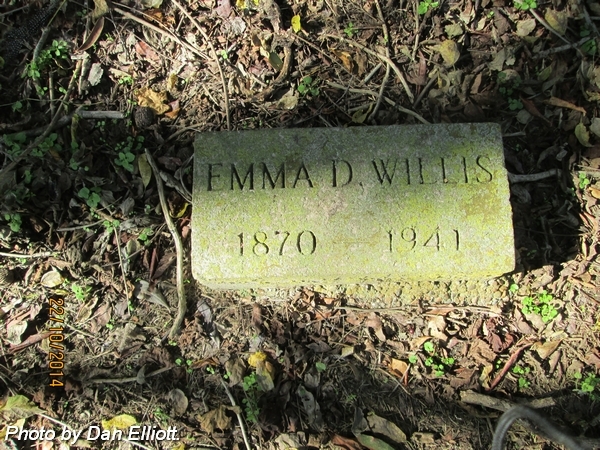 Daughter of Perry J & Emma D (Cowen) Willis. 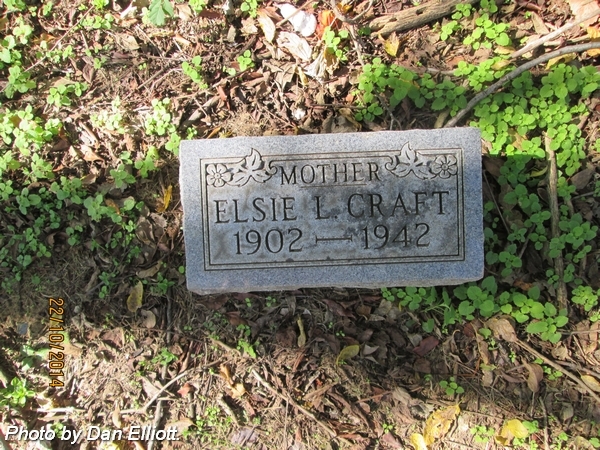 7 Oct 1898 6 Apr 1966 Husband of Elizabeth L "Elsie" Craft. Son of William Edward & Sarah Eleanor "Sallie" (McSwane) Craft. 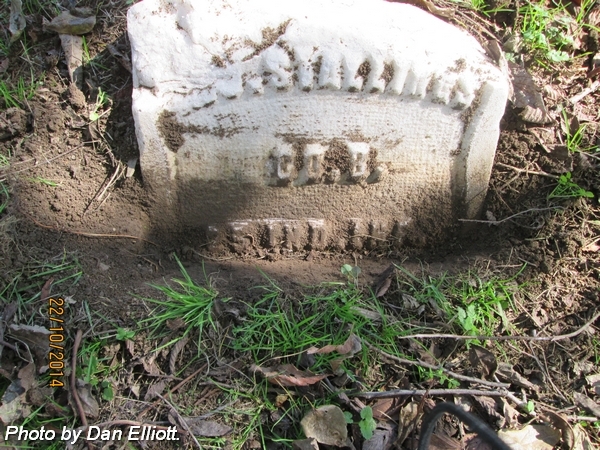 Husband of Hannah (Saltzman) Durlin. Married 15 Mar 1821. 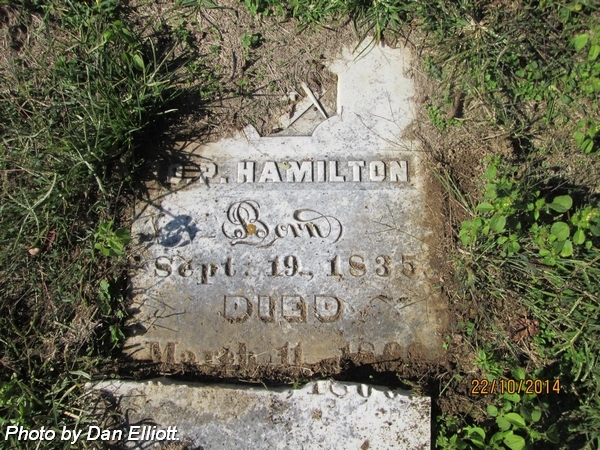 Husband of Esther (Pitts) Hamilton. Married 25 Nov 1862. 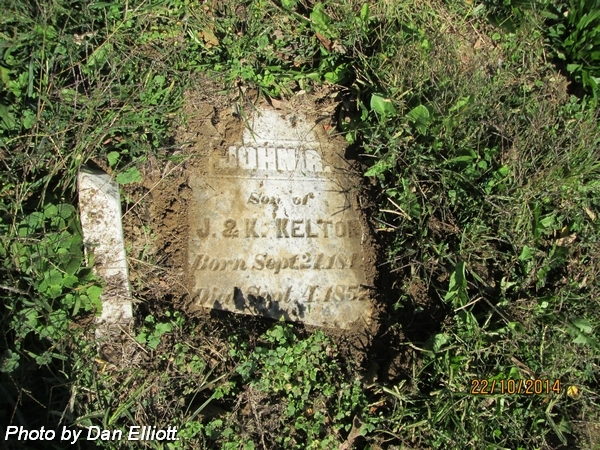 Son of John & Katharine (Conrad) Kelton. 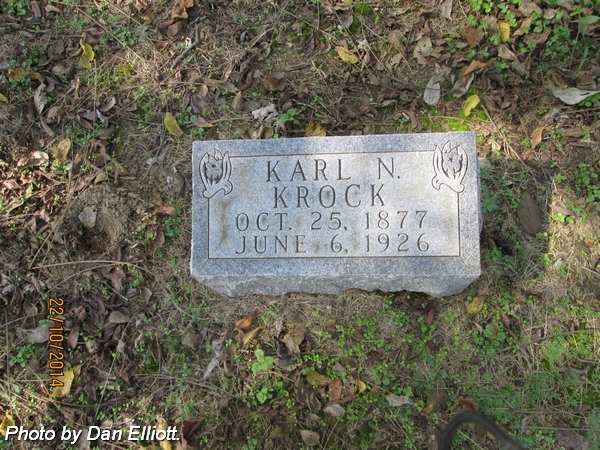 Daughter of Karl Nichalus & Elva (Hardy) Krock. 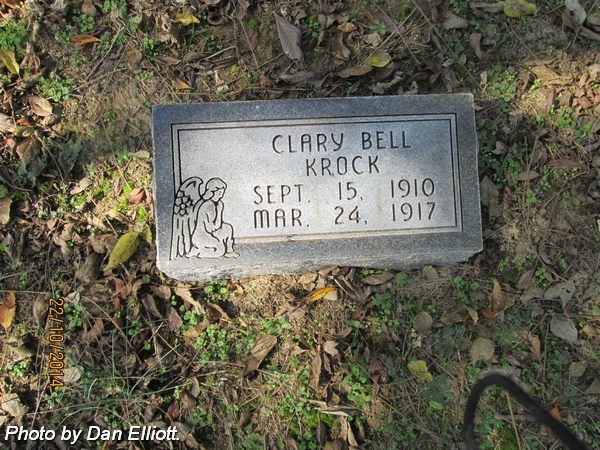 First husband of Eva (Hardy) Krock Tolliver. Son of Cornelius & Barbara (Buegler) Krack. Daughter of William & Jane Moran. 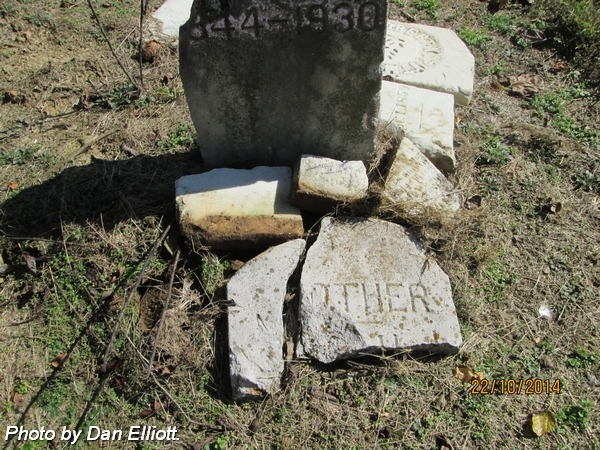 Husband of Parthenia Ann (Ross) Pittman. Note; Small broken stone. 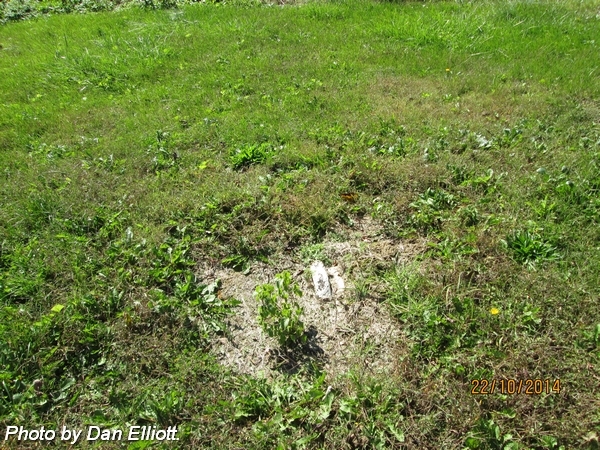 Assumed to be a Pitts family burial; immediately south of Mary C Pitts. 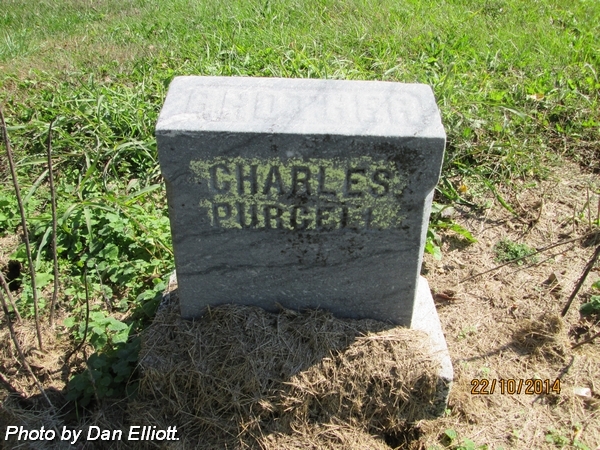 Husband of Mary C (Gregory) Pitts. Married 2 Mar 1841 in Robertson County, Tennessee. 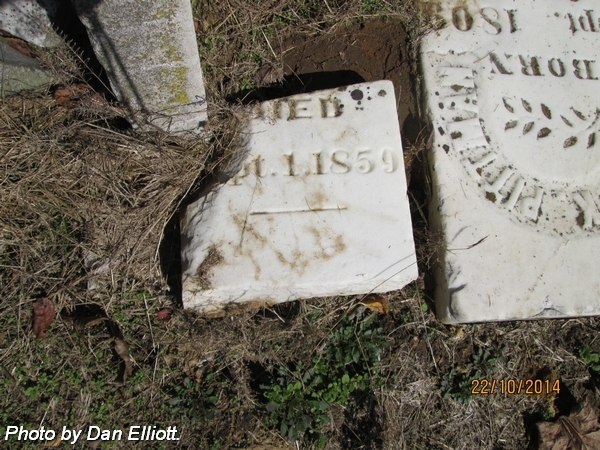 Son of John Gideon "Jedy" & Elizabeth "Betsy" (Kelton) Pitts. Aged: 57 Ys. 11 Ms. 21 Ds. nee Kelton. Wife of John Gideon "Jedy" Pitts. No stone found on 22 Oct 2014. 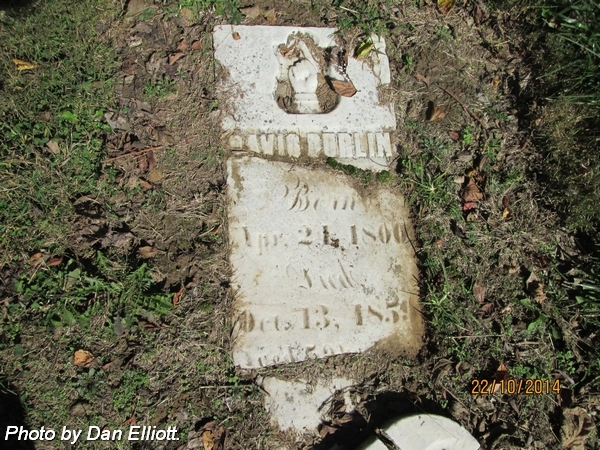 Husband of Elizabeth "Betsy" (Kelton) Pitts. 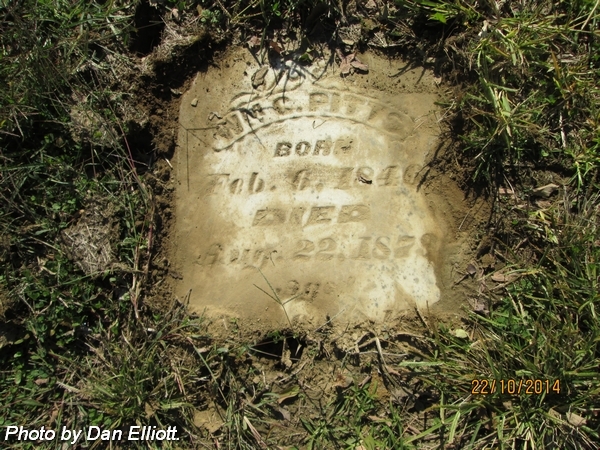 Son of John & Mary (Henry) Pitts, Jr.
nee Gregory. Wife of Alvis Pitts. Married 2 Mar 1841 in Robertson County, Tennessee. Aged: 55 Ys. 2 Ms. 15 Ds. 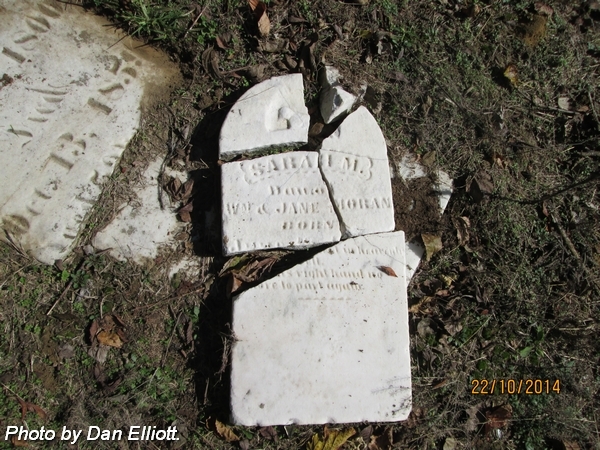 Son of William Carroll & Jane Pitts. Pvt., Co. K, 125th Regiment,10th Indiana Cavalry. Enrolled at Mount Vernon, Indiana on 7 Jan 1864. Age: "18." Enlsited on 14 Apr 1864. Mustered out on 13 Jun 1865. 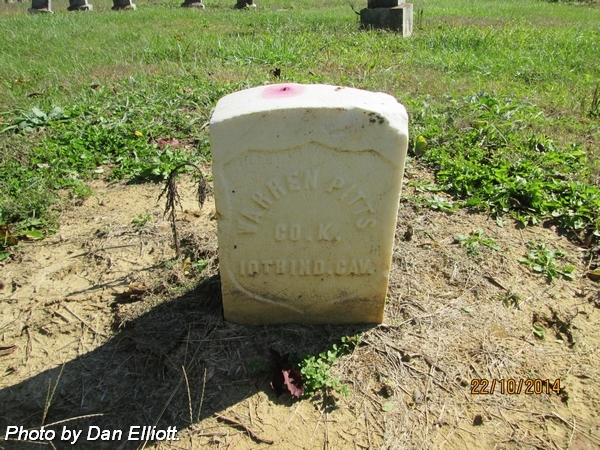 Husband of Jennie (Ramsey) Pitts. Married 19 Oct 1871. 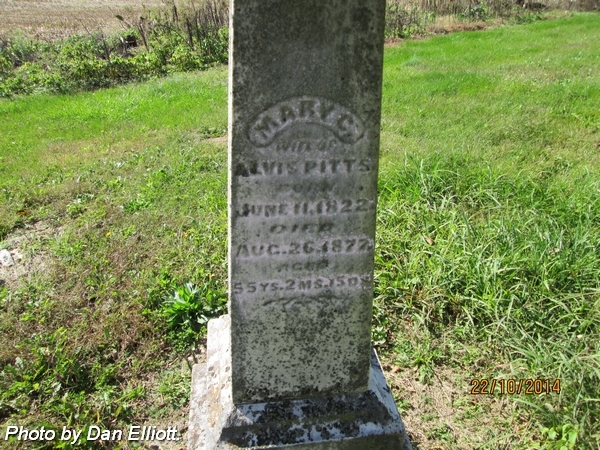 Son of Alvis & Mary C (Gregory) Pitts. 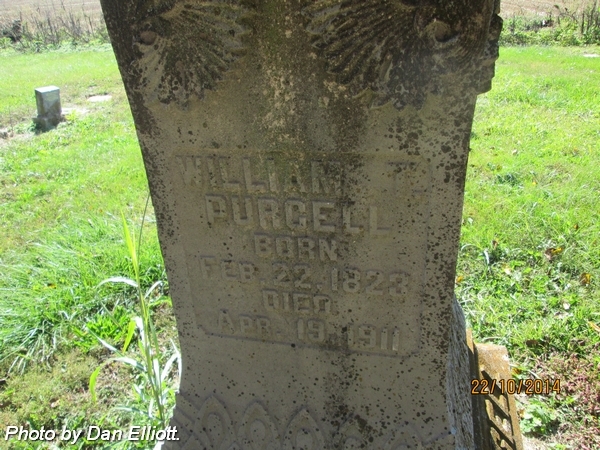 Son of William T & Esther Caroline (Pitts) Purcell. 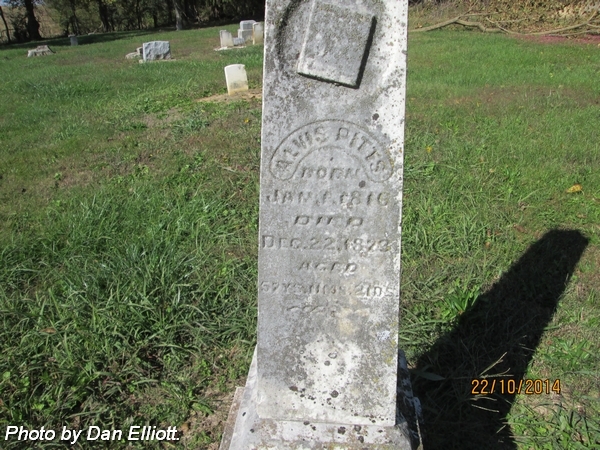 Son of William T & Esther Caroline (Pitts) Purcell..
nee Pitts. 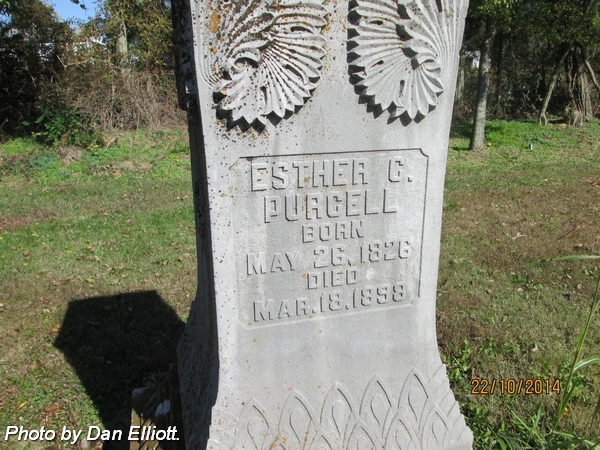 Wife of William T Purcell. Married 29 Jan 1845. Daughter of John Gideon "Jedy" & Elizabeth (Kelton) Pitts. 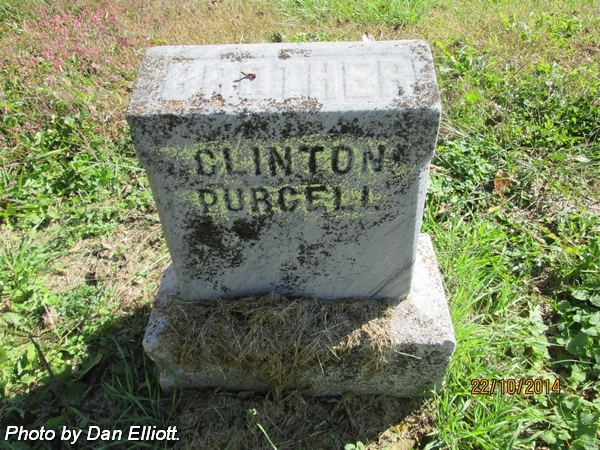 Husband of Esther Caroline (Pitts) Purcell. Married 29 Jan 1845. Son of George & Emily (Todd) Purcell. Husband of Sarah Jane (Ellison) Saltzman. Married 5 Apr 1866. Son of Alexander & Prudence (Coonrod) Saltzman. 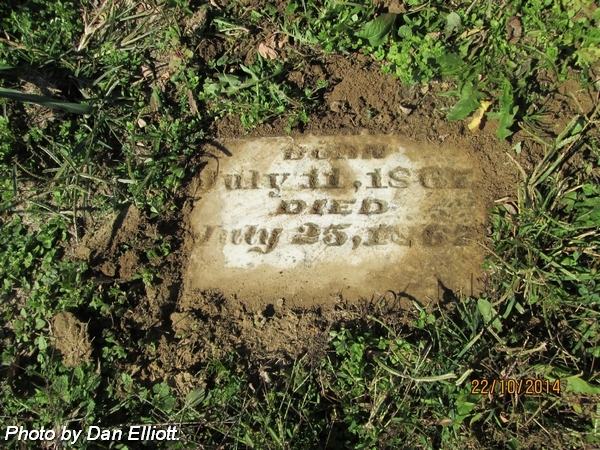 Pvt., Co. C, 65th Indiana Infantry. 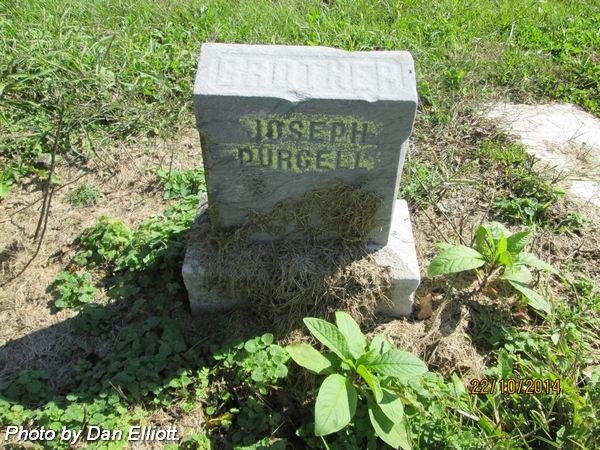 Enrolled 1 Aug 1862 at Vincennes, Indiana. Enlised 1 Aug 1862. Age: 18. Mustered out 22 Jun 1865. 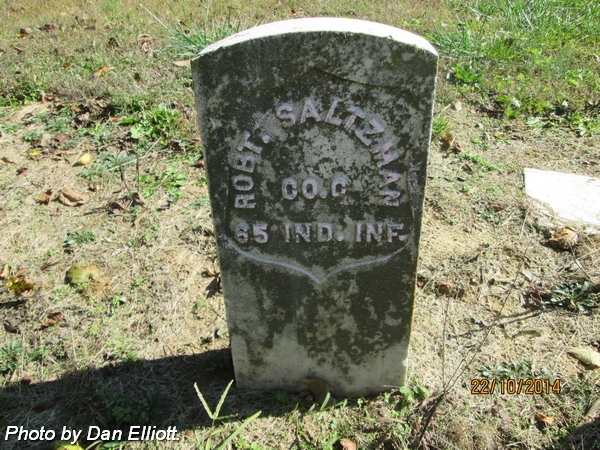 Wife of Robert W Saltzman. Married 5 Apr 1866. Husband of Lavina J (Carr) Stallings. Married 20 May 1863. Son of Shadrack & Jane Stallings. 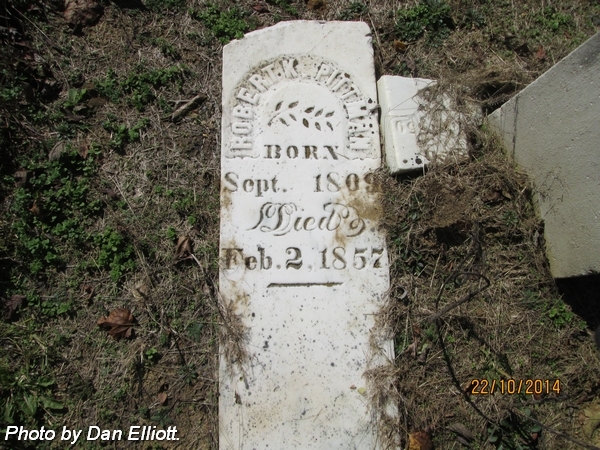 Pvt., Co. B, 25th Indiana Infantry. Enrolled at Evansville, Indiana on 19 Aug 1861. Age: "30." Discharged Feb 1862. 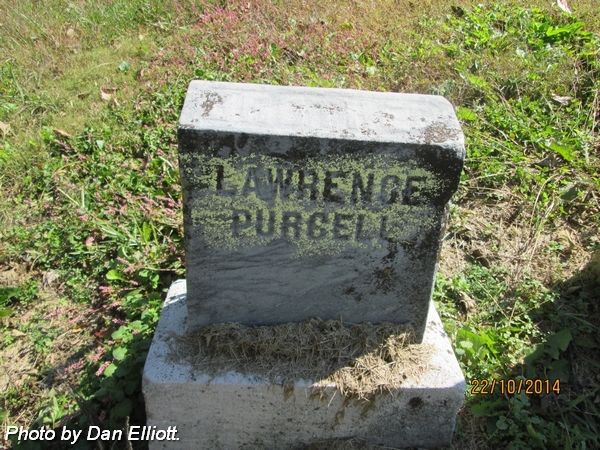 (Note: A large portion of the top of the Military marker is missing.). 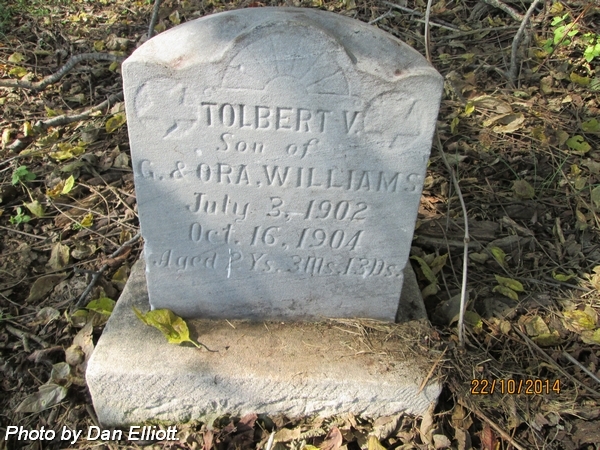 Son of Grant & Ora (Doss) Williams. Aged: 2 Ys. 3 Ms. 13 Ds. nee Cowen. 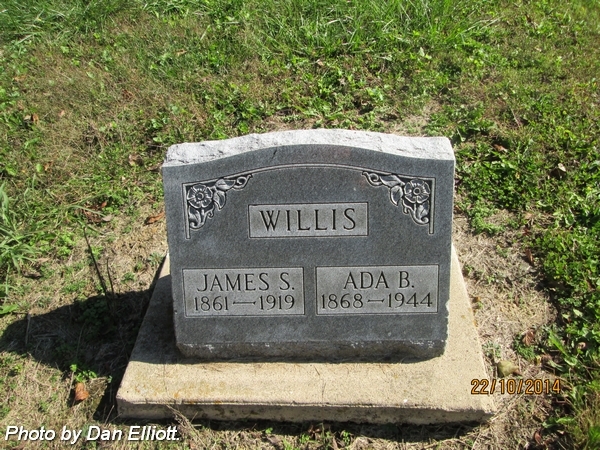 Wife of James S Willis. Married 10 Dec 1885. Daughter of Aaron & Catherine "Kate" (Campbell) Cowen. nee Cowan. 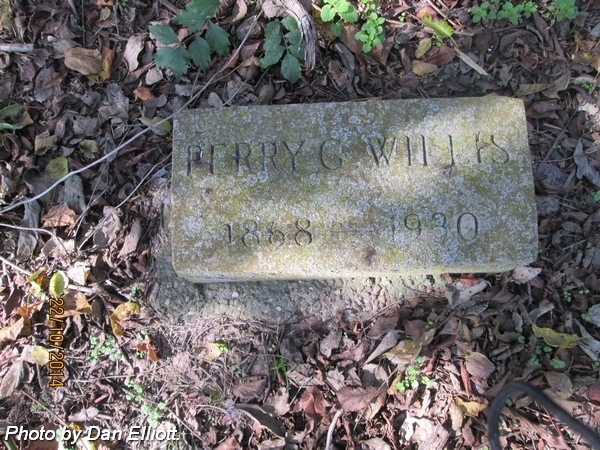 Wife of Perry G Willis. Married 25 Oct 1892. 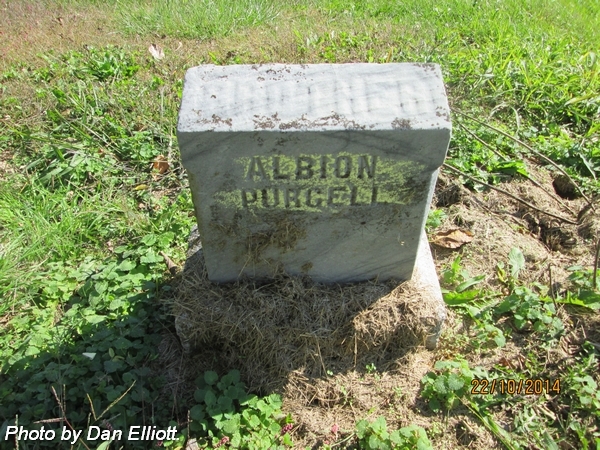 Husband of Ada Bell (Cowen) Willis. Married 10 Dec 1885. Husband of Emma Delll (Cowen) Willis. Married 25 Oct 1892.
nee Cowen. 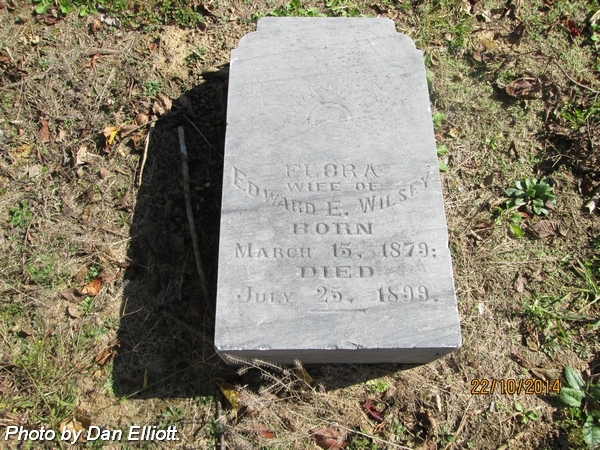 Wife of Edward E Wilsey. Married 21 Nov 1897. Daughter of William & Maria (Durlin) Cowen. Son of Wilhelm M "William" & Sarah E (Bacon) Wimpelberg. Daughter of Wilhelm M "William" & Sarah E (Bacon) Wimpelberg. 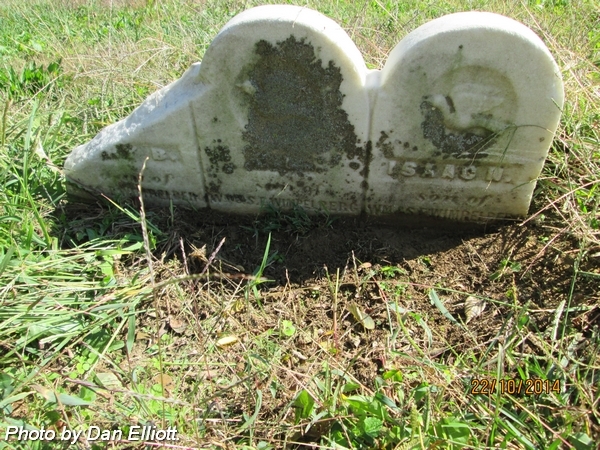 Infant son of John W & Sarah E (Kelton) Yager. nee Kelton. Wife of John W Yager. Married 6 Sep 1866. 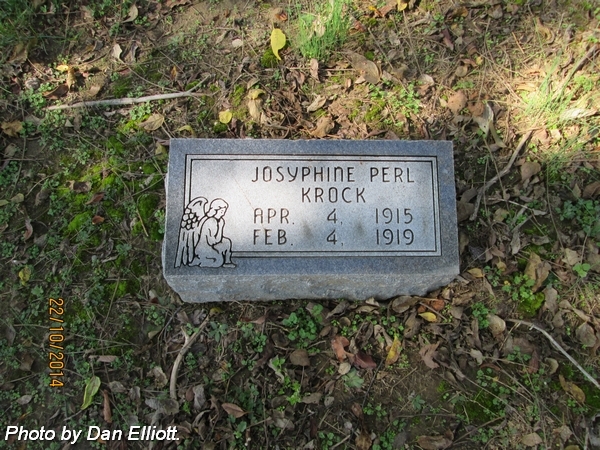 Daugher of John & Katharine (Conrad) Kelton. 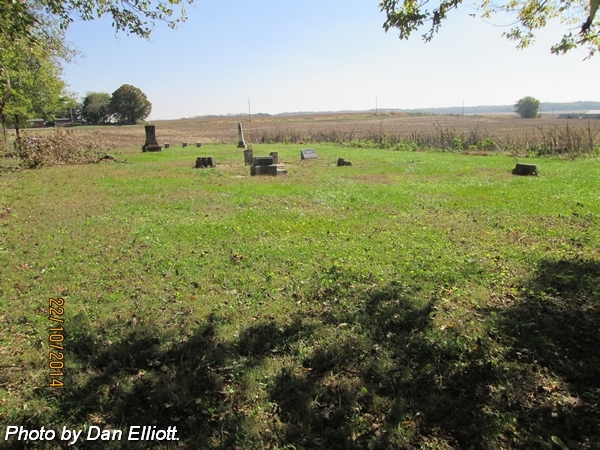 View from east edge of cemetery looking to the west. 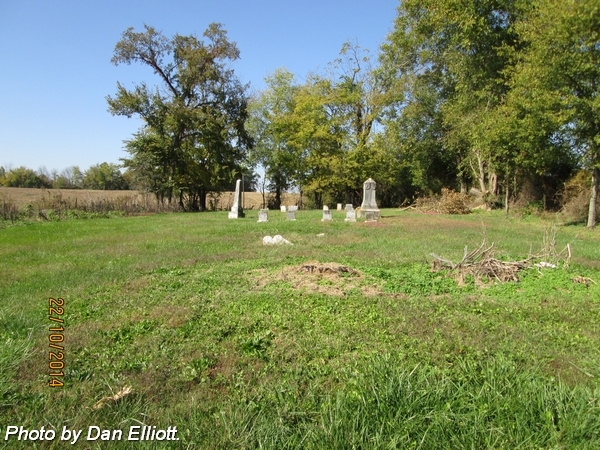 View from the west edge of cemetery looking east.